Inateck have sent over the KT9001. A combination of USB ports and wireless network card on a PCI Express board. 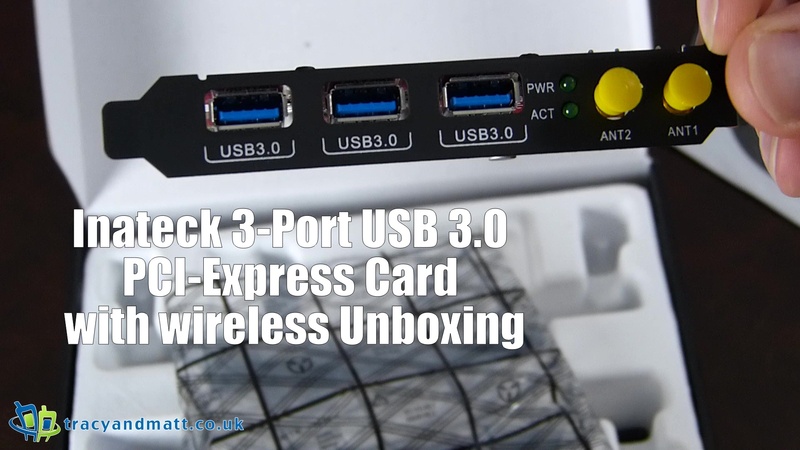 Featuring UASP Support; Driver-free for Win 8 or above Inateck KT9001 PCI-E card has 3 USB 3.0 ports (compatible downwards to USB 2.0/USB 1.1), used for keyboard, mouse, hard drive etc.. Provide you with more USB ports and protect your PC native USB ports. 3 Super Speed USB 3.0 ports support transfer rates of up to 5Gbps. No need for extra power with 3-layer power management technology, different power management solutions for different devices. Built-in with 802.11 AC protocol dual-band wireless network card, supports 2.4GHz and 5GHz. Devices can select the most suitable wireless network automatically. 300Mbps plus 867Mbps provides you incomparable wireless network.